An overview of Australian-German Artistic Relations over the past two hundred years. The guns were barely silent on the Western Front when on 23 November 1918 Belgian-born Henri Verbrugghen took to the stage of the recently established NSW Conservatorium and softly tapped his baton, bringing the audience to silence. Then into this silence Verbrugghen called down the immortal opening chords of Beethoven’s Ninth Symphony, the ‘Choral’, with its celebrated fourth movement ‘Ode to Joy’, based on Schiller’s words. A difficult piece to stage because of the considerable orchestral forces required, the performance was nevertheless a triumph, and all the more so for the occasion it marked, the Allied victory over Germany. Due to the long lead time and the necessity for extensive rehearsal, its being played at the signing of peace was a coincidence, but nevertheless a very serendipitous one. Recent exhibition attempts to recuperate and revise Conceptual Art — ‘Open Systems’ (2005), ‘Invisible: Art About the Unseen’ (2012) — have brought to the fore wider discursive concerns regarding coding, interfaces and artistic intentionality. Taking its lead from Rosalind Krauss’ seminal work on the post-medium condition, this paper argues that the continued privileging of interface/display-user inherent within artistic discourse belies a more nuanced reading of the critical relationship between artist and code. Furthermore, this paper explores new practices in Computer Art and its related theorisation by Tanaka-Ishii and Dominic Lopes, with a view to re-conceptualising the relationship between artistic intentionality, coding, interface and user input. 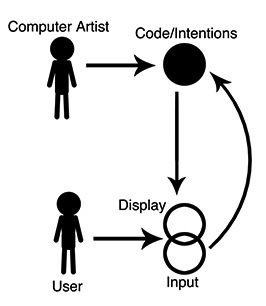 Based on this re-conceptualisation we identify the ‘post-display condition of contemporary computer art’, a condition that neither privileges user-display communication, nor the space between code and user, but rather envelopes meaning production between all elements of an artwork. Arthur Streeton produced a comprehensive body of work in response to his two-month sojourn in Cairo on his way to London in 1897. This essay explores his range of responses to the city, expanding current understandings of the artist’s experience of travel through analysis of his stylistic approach to Orientalist subject matter, and examination of the degree to which he engaged with the medium of photography. The impact of the visit was much more than the brevity of Streeton’s stay suggests. Cairo signalled his first significant experience of a foreign environment, with a predominately urban landscape of monumental architecture and bustling bazaars, and the opportunity for engagement with the ethnographic figure as subject. 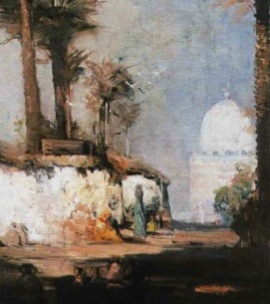 In a departure from Australian landscapes produced during the late 1880s and 1890s that were painted in situ, Streeton synthesised a number of his Egyptian subjects, employing sketches together with photographic sources. During the journey Streeton amassed a collection of photographs purchased from commercial studios, as well as amateur photographs, which have been attributed to the artist. 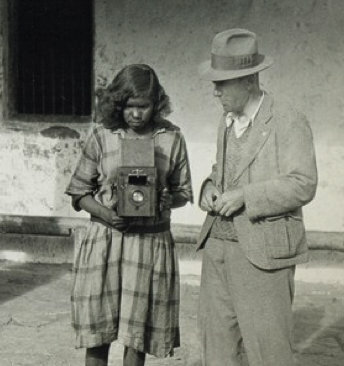 The subjects of these photographs point to strong trends in the market for tourist imagery that influenced the artist’s output. The photographs were used to provide details of costume, architecture and decoration in a small number of oil and watercolour paintings. In 1990 French art historian and philosopher Georges Didi-Huberman announced he would undertake what he termed an ‘aesthetics of the symptom’. What exactly this symptomatic approach may mean for art history has often been overlooked in appraising his historiographic project. This essay traces the trajectory of Didi-Huberman’s retrieval of the Freudian symptom in relation to Honoré de Balzac’s 1831 short story The Unknown Masterpiece. While Frenhofer’s failed portrait of his mistress Catherine Lescault has long symbolised the irrecoverable gulf between reality and artifice, model and copy, I argue there is an alternative way of imagining Lescault beyond the terms of mimetic failure by drawing on Didi-Huberman’s aesthetics. 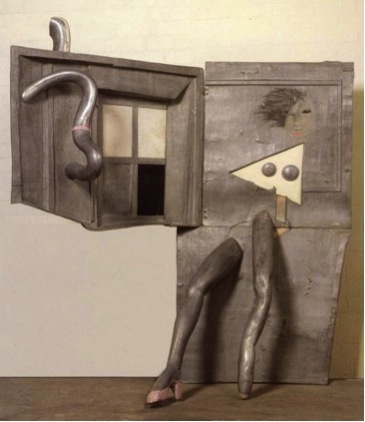 If it is possible to recast Frenhofer’s masterpiece not as unsuccessful imitation, but as a successful presentation of the human body, as is proposed in the 1985 book La peinture incarnée, the terms of this aesthetic production need to be re-examined in light of Didi-Huberman’s reception in English. With its origins located in Sigmund Freud’s early studies of hysteria, the attendant issues of overdetermination and the pan of the image provide an entry point into Didi-Huberman’s critique of mimesis and his particular approach to art history. In Sasha Grishin’s 2014 book, Australian art: a history, he begins his discussion of printmaker-sculptor George Baldessin (1939-1978) with a statement about the artist’s migration to Australia. While this is appropriate, as Baldessin’s art is intimately involved with his relationship to ‘place’, extensive biographical interpretations have meant that the consequences of Baldessin’s life have long overshadowed the consequences of his art. After travelling to Milan in 1962 to study with the internationally renowned Marino Marini, Baldessin found himself under the tutelage of Marini’s lesser-known studio assistant, Alik Cavaliere (1926-1998). Cavaliere’s phenomenological philosophy, which informed his approach to sculpture, formed a foundational basis for Baldessin’s later work in Australia. 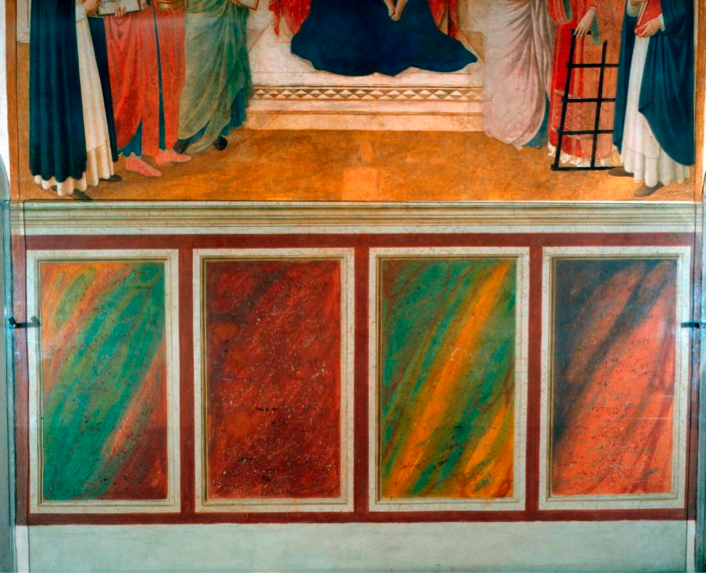 After his return from Milan, the young artist created works that were derivative of Cavaliere. This was contemporary Milanese art, Melbourne style. Over time this influence became less obvious, and Baldessin slowly transformed Cavaliere’s approach into something idiosyncratic and deeply personal. Yet the basic tenets of Cavaliere’s philosophy remain traceable in Baldessin’s most admired work, the installation produced for the 1975 São Paulo Biennial – the sculpture Occasional screens with seating arrangement with the print suite Occasional images from a city chamber. Cavaliere’s advocacy for works which simulated ‘place’ and being-in-the-world struck a chord with Baldessin. Not least because Baldessin was raised relatively close to Milan, a truth he often obscured. emaj 8.1 2014-2015. Published April 2015.